Visuals have been found to improve comprehension by up to 400 percent. In a competitive sales environment where getting your message across is crucial, that type of boost can mean the difference between success and failure. It’s no surprise then that 95% of all the conversations hosted on Zoom in closed won deals utilize Zoom’s screen sharing feature. That’s a crystal clear link between sales success and a rep’s ability to share ideas, facilitate conversation, and pitch over video. 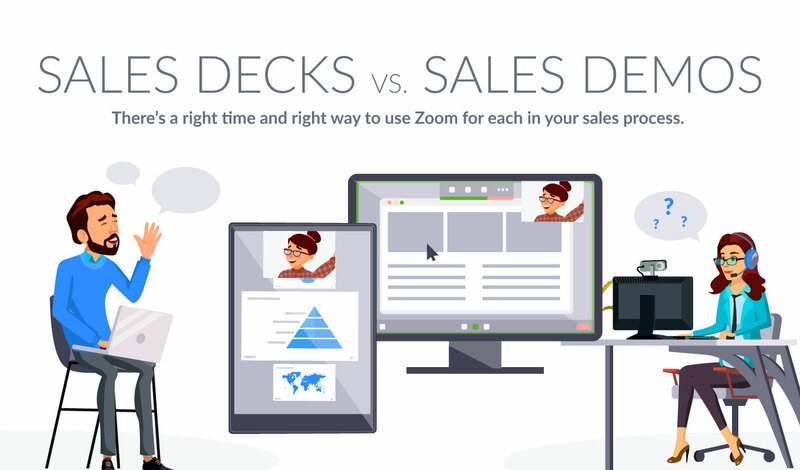 See why Zoom is the best choice for creating engaging and interactive conversations around your sales presentations. Sign up for a personalized 1-1 demo with Zoom product specialist today.